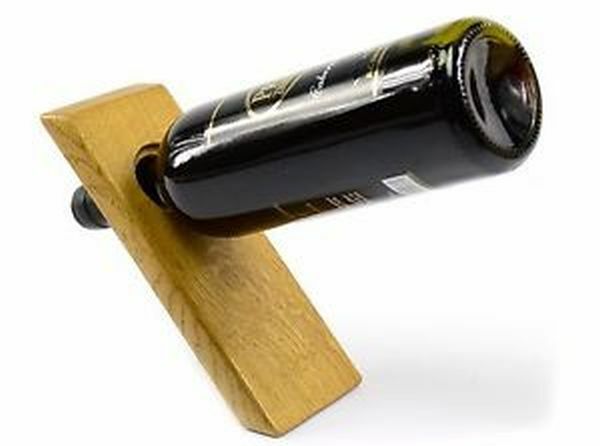 Home Latest	Le Arc: Single wine bottle holder with amazing buoyance! What would you call a person who can tell from just the aroma of wine its class and make? Well, there’s no better definition of class than that. There are a lot of people who pretend to be connoisseurs of wine by just buying expensive bottles. However, only a few can enjoy it the way it is meant to be. Ever since time immemorial wine is described as a drink of gods. If you know how to enjoy a glass of fine wine, you would know why it is rightly called so. It is only for true lovers of wine that ‘Le Arc: Single wine bottle holder’ is meant. 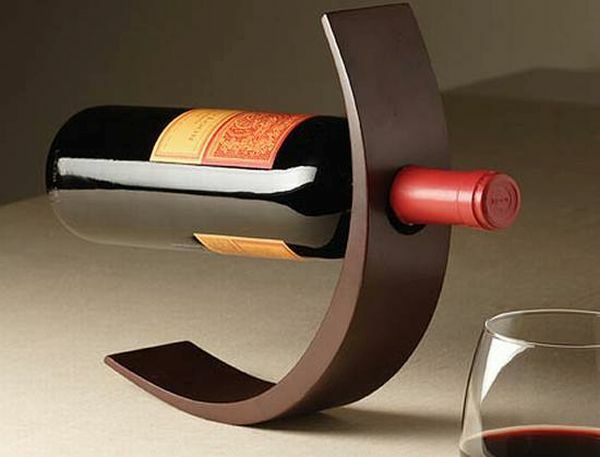 ‘Le Arc’ as its called, isn’t the shape of this wine bottle holder clearly amazing? This is beyond doubt ultra modern way to showcase your wine of the week, month or a day! It’s made of poplar wood and available in 3 colors mahogany, black and red. This certainly could be the best gift for a wine lover. The artful presence of this arc will definitely amuse your guests. This item directly ships from Stack and Stacks. What are you waiting for? I already had my piece! Wine lovers finally more reasons to cheer. Whether it is keeping your wine safe or covering the wine bottle with handsome attire, mentioned below are nine such wonderful wine gear that will simply impress you! 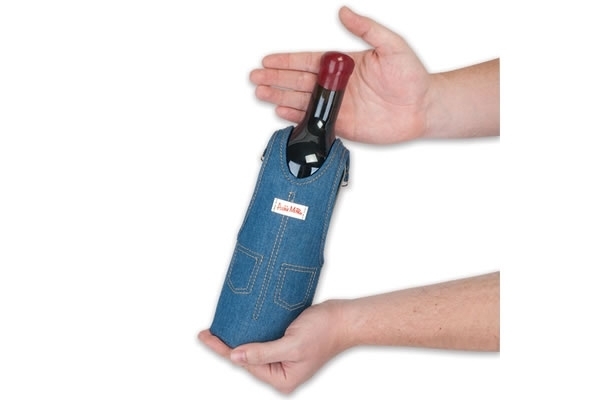 If you want to cover your expensive wine bottle with really cool attire, then go for the Vinderalls. Costing about $11.45, it can also be used as a gift wrap. Be it covering the bottle of pinot grigio or cabernet sauvignon, the Vinderalls just fits perfectly on 750 ml wine bottles. What’s more, it even has a pocket in front where you can place a card or something similar. These wine gear needs a bit of introduction for one look at it and you would understand what it resembles to! With this wine opener by your side, opening the wine bottle is a child’s play. The Screw You Opener can be easily used and washed. Most importantly, it’s dishwasher safe. 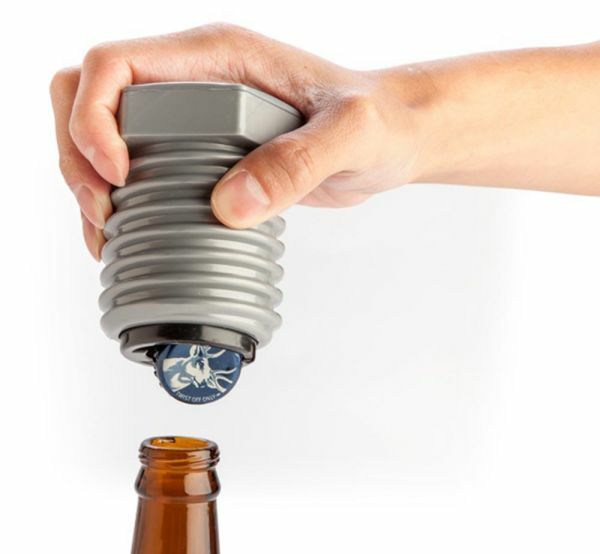 It even has a foldable corkscrew that easily folds inside the hand when you are not using it. Some great wine bottles are meant to be displayed in an extra-ordinary manner and the Magic Wine Bottle Holder can help you do that. Coming for approximately $ 19.95, you can keep it on a sideboard or even in the kitchen. Besides this, you can even have it as a centerpiece on the table. You can even gift this bottle holder to a friend or relative. Facing difficulty in storing your wine bottles? Well, then go for the Wall-mounted Bottle Holder and say goodbye to limited space issues. Stylish, elegant and most important space-efficient, the bottle holder will instantly grab the attention of your visitors. Blomus has to be credited for coming up with such a remarkable piece of wine gear. 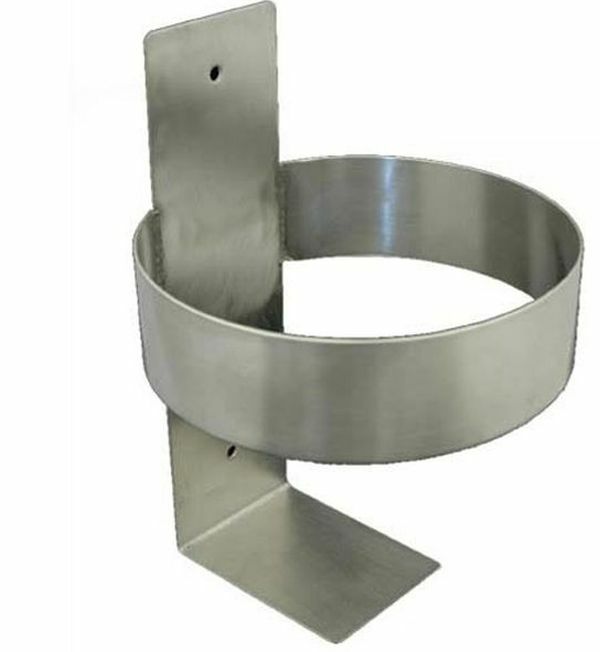 Made from stainless steel with ultra-modern finish, the bottle holder has a vertical rack consisting of 8 lined loops. You can keep your wine bottles sideways by their neck in the most secured manner. Are you using a marker to measure the quantity of wine left in the bottle? Well, then the Wine Lock is just meant for you. 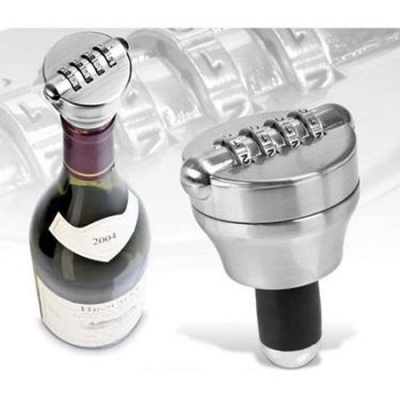 This brilliantly crafted wine gear keeps your favourite plonk secured. So, how it work? The Wine Lock has a padlock consisting of four digits. You can have your own code and each time you open the bottle the code needs to be entered. Do not forget the code otherwise; you will have to break the bottle to get rid of it. Who says the headiness diminishes ones the bottle is empty? Those who say, probably, don’t know headiness lies not just in the wine but in the bottle also. Probably, that’s the reason why art lovers, most of the time, find some solution to immortalize that headiness, forever! This philosophy seems to be exhibiting its best in the form Wine Bottle Shelf depicted here. 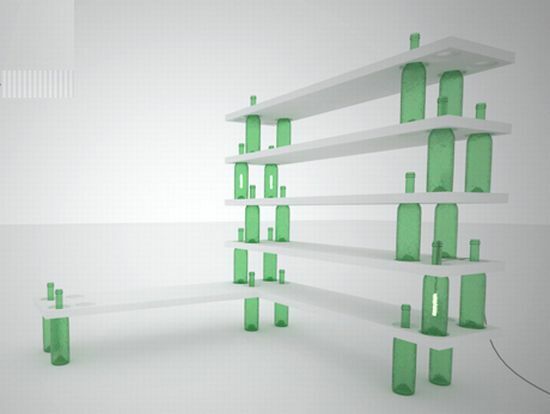 Having six shelves with 22 used wine bottles holding them, it really makes a thing, which you can gloat over, be it in your kitchen or in your drawing room. After all, its design has a uniqueness of its own. Isn’t it? On weekends, from now onwards you are sure to carry these wine holders and the bamboo table on those fun outings, once you get to know how convinient they are . When I say a table, don’t think that it’s a huge table that will not fit in your car or that’s heavy in weight. It’s just a compact table which is light in weight and can be easily carried any where, any time. 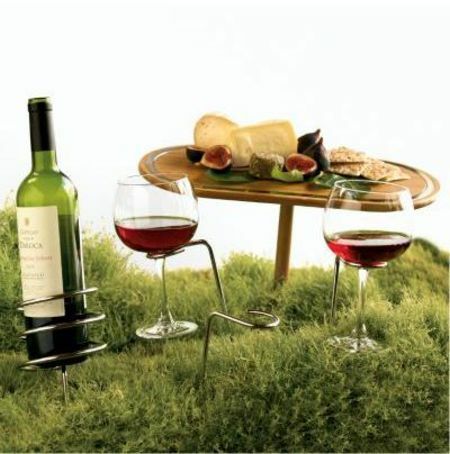 No worries even if the surface where you plan to spend your picnic is not flat and plane, as these holders will help you keep your bottles and glasses without any hassles. These holders are designed to stick in the ground. The set of heavy-gauge, rust-resistant and stainless-steel holders consists of 5 holders, from which four are for glasses and one is for a bottle. Coming to the table, it’s stake can be screwed onto the tabletop, then off again for compact storage. Not only that, this table can be easily folded and put in a nylon carrying case. Displayed at the exhibition-ups organized by the ToolsGalerie in Paris, the “Campane” by designer Guillaume Delvigne is a limited edition lamp to give an artistic look to the décor of contemporary places. 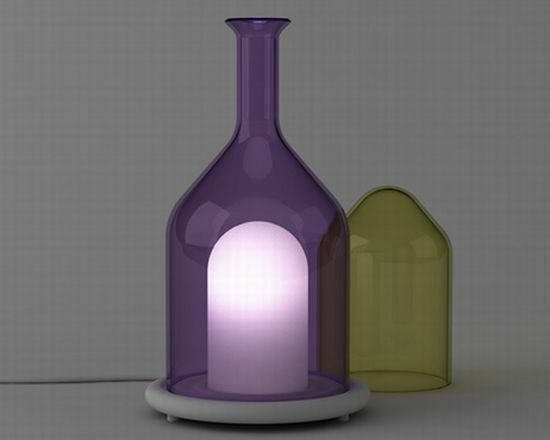 Designed as a part of the collection of the National Fund of Contemporary Art, the bottle-shaped lamp is finished in glass and corian, and measures 27 cm in diameter and 47 cm in height. Looking more like an antique bottle of wine than a lamp, the Campane just gives a new dimension to household illumination devices. The oozing bottle of wine or champagne takes you into a thinking mode, after a drink or two, to end up with a number of (positive as well as negative) ideas, depending on the gulped quantity. Designer Tryi Yeh from Taipei (Taiwan), inspired by a bottle of wine, has come up with a personal mobile device that apart from presenting a unique design also harnesses green energy to remain juiced up for a longer duration. 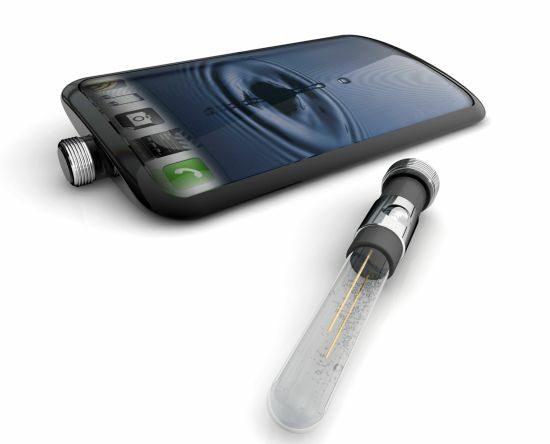 Dubbed “Cheers,” the mobile phone generates power from a green Alcohol-Cell, which provides a more efficient way of saving the battery’s energy, adding meaning to your prolonged chats. The eco-supportive phone also features a bottle cap-shaped fast function switch on the top, together with a high-resolution touchscreen.